When I found out recently that my sister and her husband got their good as new Honda Civic with only 24k mileage from Sulit.com.ph, I kind of wished we checked out “Sulit Cars” first before we bought a brand new car. My sister and brother in law’s 2008 Honda Civic bought via Sulit Cars. Sulit.com.ph is a treasure trove! That car is more than a year old now and to date, they never had any issue with it. SULIT ang Bagong Style music video by KikayCorner.net from Jennifer Aspacio on Vimeo. Tama na! Join! Bagong style na! K’ng may buyer ka’t bebenta check mo nga ay Sulit yeah! Maraming choice of buyers, one shot selling Sulit yeah! Sulit dot com dot ph, register na sana yeah! Sure dito. Hey! Trustworthy ‘to. Hey! Events announcements, lupa at auto! Sigurado ‘to. Hey! Sa Sulit go. Hey! Hanap, usap, deal. Ano ang hanap mo? Ops ops ops ops SULIT ang bagong style! Another neat feature of Sulit.com.ph is that members can avail of Sulit Gold. If you’re a Sulit member, Sulit Gold is your golden ticket to better ads exposure, more customers, and greater sales that will surely boost up your business in no time! 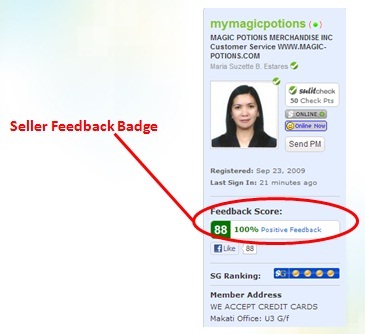 Sulit Gold (SG) is used to purchase features and services being provided by Sulit.com.ph. Sulit Gold (SG) is a paid virtual currency which members can buy from Sulit.com.ph. 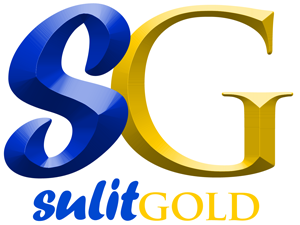 Sulit Gold is designed to revolutionize the way we advertise and promote our products, services, or business on Sulit.com.ph. Excellent job with the song :). That alone makes you already a winner. Good luck! I have yet to make my first Sulit purchase. But I do find nearly everything I need on Sulit. i haven’t tried that yet, i am afraid to make some transactions via online, due to some security reasons. I certainly Agree with Rowena, they are polluting the search results especially google. Nawawala ang credibility ng search dahil sa kanila. I hope that google philippines could be intelligent enough on filtering their results. pinoy talaga mahilig sa plagiarism. nagpapaalam ba kayo kay Psy dito? o talagang idol niyo si Senator Sotto? Furthermore, if it’s not too much to ask, can we upload this video to our social media pages? We’ll be waiting for your response! Oh, this reminds me that I haven’t visited sulit for a while now. Wah. I better check this out! Sulit.com.ph is really a great site with myriad of classified ads to check. I always frequent that site even if I’m not seriously considering any purchase of real estate or anything there. It’s just a nice way to get idea on how much some commodities fetch this time so I’ll have an idea by the time I come home for good. I think it’s really a wise move to check out classified ads that are reliable like sulit.com.ph before you plunge into a major purchase like a vehicle or house or any property. You may just get lucky with a good deal! Just to clear the air, the song used in the video was not claimed to be mine so there isn’t any plagiarism involved. This is why I said credits were given. Again, the words are original, the music was a cover using Garage Band app on my iPad. I did not even use a minus one (which would have been more convenient). WOW! that is such a great deal. i would definitely let my husband know of Sulit! And I hope you win! Ang galing- galing naman ng remake nong Gangnam style, Sis! Natuwa ako, hehehe! I haven’t tried out Sulit just yet but because of this post, I am going to head on at their site and have a check. Advance Happy Anniversary sa inyo ni Darling Hubs mo, Sis. Hope you get the HK trip that you wish for. wow, that looks like brand new definitely, and good that they still have no issues with the car. wow, they got a good deal…:) your so talented and creative in making that song. goodluck sa contest, hope you’ll get that HK trip prize. 🙂 advance happy anniversary na din. Oh gosh, I love it!! Great job with the lyrics! And I think this was sang pretty well! Repost from Mr. RJ David, Founder of Sulit.com.ph: Ms. Anna (who represents herself as “Cherie” in her comment here), thank you very much for your concern. To answer your concern regarding this video, please be advised that Psy already waived the copyright of his song and the corresponding music video to allow anybody to use it. This has actually resulted to thousands of parodies (like this one) which helped him to become more popular (wise move). As of now, YG Entertainment holds the trademark for “Gangnam Style” but the copyrights for both the song and music video have already been waived. I hope that already clears the concerns. Tawang tawa lang ako sa video. Haha! Galing kumanta ni Kuya Jeff! 🙂 Congrats sa trip to HK.